Hey there! It has been way too long since my last post, and I have greatly missed creating recipes and bloggin’ about life. I just finished my fall semester of school and nothing beats the feeling of having to do NOTHING!!! Now I am a busy-body, so this laziness won’t last very long, but I will enjoy it for a couple of days. I have to retrain myself to sleep past 8 am, which is kind of sad as a college student! This morning I got up at 6:30 (sigh), but I did use my time wisely! 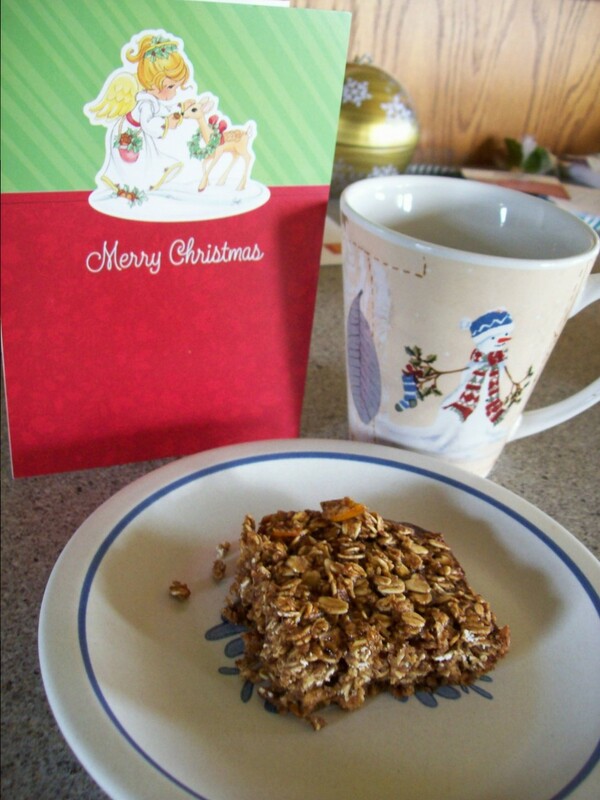 At the crack of dawn, I cranked out a new recipe: Spiced Orange Gingerbread baked oatmeal! Now I love gingerbread, but being gluten free limits me in my cookie consumption, which isn’t a bad thing since it allows me to get creative. The base in this is oatmeal, so it’s hearty and filling, and the complex carbs and protein steady blood sugar levels much better than a regular cookie would. 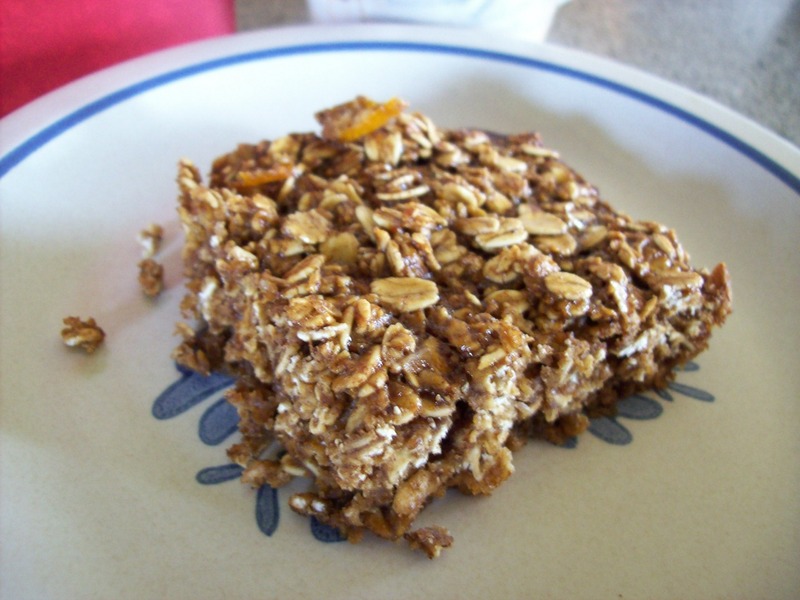 I made this and had it for breakfast with a boiled egg and it was awesome! Next time I make these, I might add 1/2c. or so of flax meal to boost those omega-3s! Boom! As sweeteners, I used the classic molasses (because gingerbread!) and coconut sugar. If I were making this recipe just for me, I would cut back on the sugar, maybe to 1/3 or 1/4c, but when I bake new concoctions, the one comment that I always get from my dad is, “It’s good, it just needs to be sweeter.” Okay, my dad has a pretty intense sweet tooth that is hard to satisfy, but this time I tried to sweeten to his level without putting everyone else into a sugar coma. Coconut sugar has a caramel-like flavor that is fabulous in baking, but it tends to be slightly less sweet than white sugar. It also has a lower glycemic index, which means that it will not spike your blood sugar levels as badly as white sugar and white flour do. For spices, I used the traditional gingerbread spices of cinnamon, cloves, ginger and nutmeg. Such flavors are so warm and festive and Christmas-y! I also added orange juice and zest because it adds a tangy element that balances the sweet and spicy. Add almond milk as needed to soften the mixture, if you want a chewy texture then leave this out. Share and enjoy with your family! I can’t wait to test this one out on my dad, hopefully it’s sweet enough for everyone! How do you “healthify” your favorite holiday treats to keep your meals on track? I’d love to hear your ideas!